Beginning in 2004, with Dollar General as its first BTS Development Client, Dorsey has continued to grow in capacity, sophistication and territory. By combining in-house development expertise, construction, and a thorough understanding of client’s goals, requirements, and processes, Dorsey has delivered a seamless development rollout for Dollar General. Since those early years, Dorsey has expanded its client base to include some of the most recognized national retailers in the country. Headquartered in the New Orleans suburb of Metairie, Louisiana, Dorsey Development is an experienced multi-state real estate development and construction company specializing in retail single-tenant net lease properties and retail strip centers. With Dorsey, you will have an Integrated Development Team on your side with a single point of contact who will focus on your project with undivided attention. We invite you to explore the Dorsey Advantage. Paul is the Managing Principal providing the vision and leadership for his professional team. Since its inception in 2003, Paul has developed over 1.5 million square feet of retail space including over 100 Single Tenant Net Leased build to suits for Dollar General Corporation. He’s also developed locations for Burger King, El Pollo Loco and 10 Shopping Center Developments. 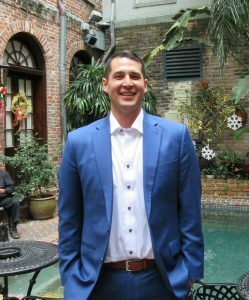 Paul earned an MBA and JD from Tulane University and enjoys dealmaking and taking on new challenges. He also enjoys golf and spending time at the beach. 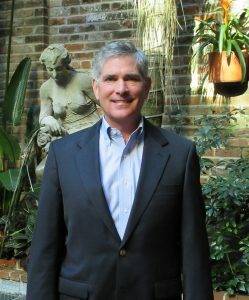 Paul is a member of the Louisiana Bar and a member of ICSC. Jay oversees all Dorsey’s real estate projects and is a Principal in most projects. Jay has extensive experience in retail site selection, leasing, development, construction, real estate brokerage and valuation. He is skilled in tenant procurement, lease negotiations, letters of intent, purchase contracts, financing and planning. 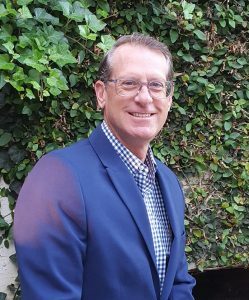 Jay has 30 years of commercial real estate experience and has been involved with the development of approximately 300 build to suit projects for Dollar General Corporation, as well as numerous retail multi-tenant developments and redevelopments. 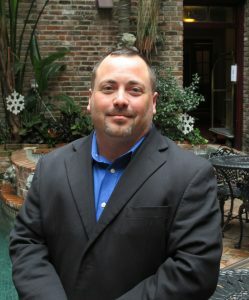 A graduate of Louisiana State University (LSU) in Business, Jay holds a Louisiana Real Estate Brokers license and has been a member of the Southwest Louisiana Association of Realtors for approximately (25) years, including time sitting on its Board of Directors. He also possesses the CRX (Certified Retail Property Specialist) and the SCLS (Senior Commercial Leasing Specialist) designations issued by ICSC (International Council of Shopping Centers). 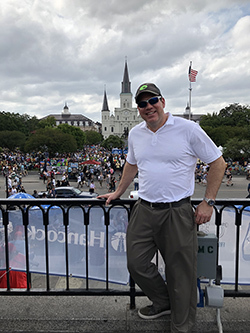 Jay enjoys volunteer work such as the St. Aloysius Catholic Church, LSU Lunch Bunch and sitting on the Board of Directors for the Brighton School Board, in Baton Rouge. In addition, Jay loves the outdoors spending time on Louisiana’s waterways fishing and hunting as time allows. Caffrey is responsible for QSR and other miscellaneous development – including new tenant relationships and delivery of projects for current clients. Prior to joining the Dorsey team, Caffrey worked for the McDonald’s Corporation and has developed approximately 900,000 square feet of Quick Service Restaurant space in 13 states. His real estate experience extends to: regional oversight, site development planning, acquisitions, construction, reimaging, relocations, project management, marketing, finance, operations, and contract negotiations. Caffrey enjoys golf, boating, and all things University of Alabama. Caffrey is a member of the Board of Directors Metropolitan Crime Commission (NOLA), a member B.P.O.E. Lodge #30 and ICSC. Greg is CFO for all Dorsey Companies. Prior to joining the Dorsey team, Greg worked in the banking industry for a publicly-traded bank in New Orleans. Greg earned a B.S. in Business Administration from the University of New Orleans in 2007 and a MBA from UNO in 2009. Greg was a member of the UNO Privateers Baseball Team from 2005-2007. Greg enjoys traveling and reading. Danny oversees all construction projects Dorsey undertakes. These include STNL BTS, Shopping Center shadow center ground-up developments, 2nd generation Shopping Center, and tenant build-outs. During construction Danny is Dorsey’s liaison to tenants ensuring everything that Dorsey promised – is delivered. Previously, Danny also served in the Marine Corps from 1997 – 2005. Danny earned a degree in Criminal Justice from Loyola University in New Orleans. He has built over 100+ Dollar General Stores and retrofit and ground-up Shopping Centers. Danny enjoys coaching little league baseball and flag football. He also serves as a Cub Scout den leader and is a member of ICSC. Ed is responsible for all aspects of entitlement. Ed has vast knowledge in a large area of jurisdictions in Louisiana and Mississippi. Since joining Dorsey Development Companies in 2013, Ed has secured permits for over 50 projects in multiple states and municipal jurisdictions. Prior to joining the Dorsey Team, Ed spent 10 years working for Jefferson Parish, Louisiana as the assistant for one of the council members. His duties included writing ordinances, handling constituent complaints, and assisting businesses moving into his district. 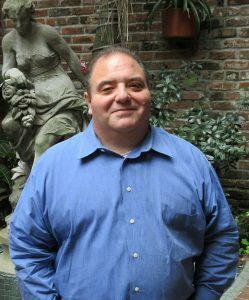 Ed earned a Bachelor of Arts at Loyola University (New Orleans) and a Juris Doctor from Loyola College of Law (New Orleans). Ed enjoys volunteering at Jefferson Parish Recreation Department as a coach, which he has done for the last 30 years and is a member of ICSC. Amy is responsible for all aspects of entitlement. She is also licensed Louisiana Realtor. Since joining the Dorsey Team, Amy has assisted in permit procurement in Louisiana and Mississippi. Prior to joining the Dorsey Team, Amy was a long-time single proprietor. She is currently pursuing the Certified Commercial Investment Member (CCIM) designation. Amy enjoys music entertainment, tennis, and participating in locals charity events.